I have been so blessed in my life...beauty is important. So is love. The girls I work with here are poor, and most of them are here because of bad home lives for one reason or another, few have father's around. Many are placed here by the government. This place is beautiful, I drink it in every morning, but so is my own home in the northwest. Perhaps it is so beautiful to me because of the love that animates it. When the girls are here they are so happy, laughing and smiling all day. They are teenagers, so they have their moments but for the most part friendship, camaraderie, fun and love dominate the atmosphere. I wonder what will happen when they graduate from high school and have to leave this place. I talked to the head sister and am going to try to set up a fair trade business for them for the handicrafts they make.Hopefully this will enable them to have both skills and resources to take with them when they have to leave. The more I get into it the more daunting it seems but with the grace of God all things are possible. If you know anything about the process of starting a fair trade business or know any good contacts I'd love to hear your thoughts! I have been very privileged in my life to live in such a place of comfort as the US. To have so much convenience (a convenience which is sourced from sweatshops in Asia and factories in Mexico and handed-down to the rest of the south), but most importantly, I have been privileged with love. I have been privileged to have people in my life who care about me and for me and take the time to tell me so. I can't tell the girls here I will always be there for them, that would be a lie. I can't tell them the sisters will always be here for them either, that would also be a lie. But Christ will always be there for them. Only Christ. Which is as much as any of us can truthfully say. 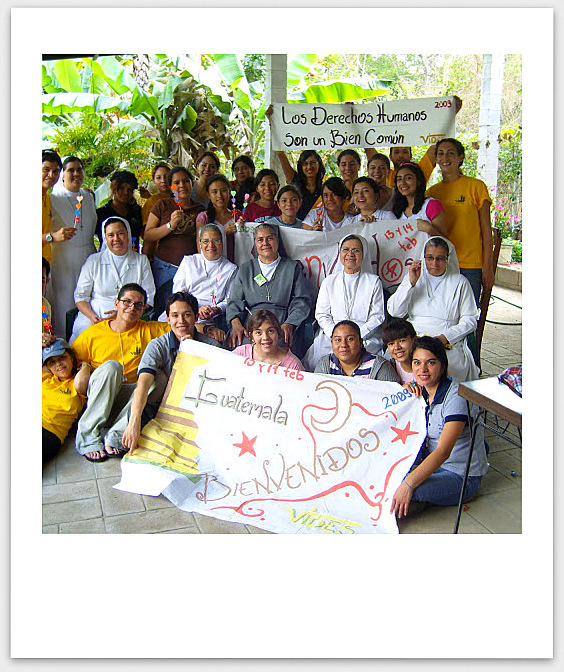 This place is called "Casa Hogar" or "House Home", literally translated. Christ is our home. He is the home in this house.